Ziggi Recado was born on the Caribbean island of St Eustatius in 1981. Growing up on the Caribbean island of St. Eustatius the young Ricardo Blijden was given the nickname Ziggi by his grandparents who raised him. In 1999, at the age of 18, Ziggi moved to the Netherlands to study. Through the influence of friends who were aspiring artists, Ziggi began experimenting with music around 2002/2003. This gradually grew into a hobby that he had a natural talent for. In 2003 Ziggi was introduced to Berteaut “Mr Rude” Fleming who eventually started Rock(N)Vibes entertainment which became Ziggi’s first Label/Management. In February 2006, Ziggi Recado’s debut album “So Much Reasons” was released. With this album Ziggi gained national notoriety in The Netherlands and managed to capture several awards such as “Best Album”, “Best Artist” and “Best Live Act”. His track “Blaze it” also had a major impact internationally and peaked at the #1 position in the official German reggae charts for weeks. Ziggi Recado and his Renaissance Band closed off 2007 at a peak. They were touring as the official support act on what was considered the biggest reggae tour that year. Gentleman’s Another Intensity European Tour 2007. In 2008 Ziggi’s 2nd studio album “In Transit” was released internationally. This album which included the hit songs “Need to tell you this” and “Gonna leave you” received raving reviews throughout Europe and the rest of the world. Ziggi was now drawing global attention. He, along with The Renaissance band toured extensively in 2009 playing well over 100 shows and solidifying his reputation as an outstanding live act. In 2011 his self-entitled album “Ziggi Recado” was released internationally. This album contained the hit song “Mary” and would be the first album on which Ziggi ventured into producing. This album solidified Ziggi’s reputation as a great musician and songwriter. In 2012, after a split with his label and management at the end of 2011, Ziggi released his first independent projects. 2 EP’s entitled ‘Liberation’ and ‘Liberation 2.0’. ‘Liberation 2.0’ was well received and contained the hit song ‘Liberation’. After releasing numerous singles in 2013, Ziggi Recado’s newest album ‘Therapeutic’ will be released May 20th, 2014. 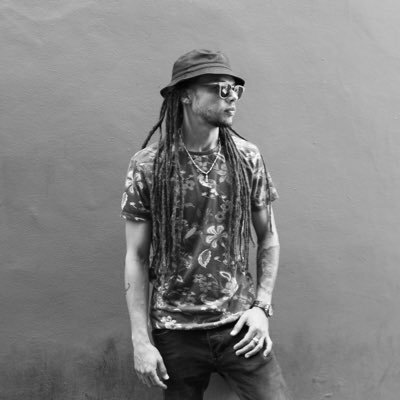 With outstanding performances on major European and world festivals and venues like Roskilde, Lowlands, Festineuch, Coleur Café, Cabaret Sauvage and Super Bock Fest, Ziggi Recado proves once again that he is amongst the top reggae acts.